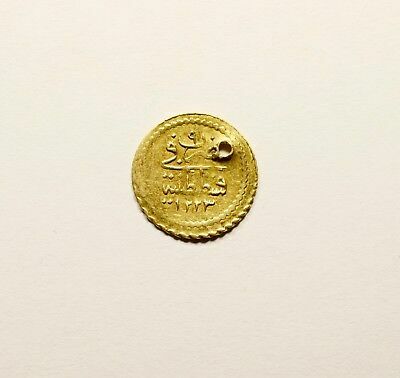 Seller: memory93_antiques (4,559) 100%, Location: Graz, Ships to: Worldwide, Item: 223450411103 Mahmûd II, 1223-1255 H./1808-1839 AD. 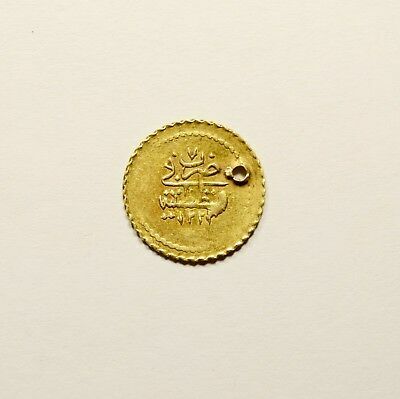 ISLAMIC OTTOMAN GOLD COIN 1.60g - 013 D: 19mm Please look carefully detailed photos! Payments: We accept only Paypal. All our deliveries are with Registered Air Mail All items are guaranteed to be authentic/original and as described. 14 day return privilege for any reason! Bid with Confidence! All items will be posted up to 24 hours after clear payment is received. It usually takes 3 – 10 days to arrive in Europe and the rest of the World.I offer combine postage, please contact me for details We work with partners from all over Europe! It is possible to get your shipment from countries other than Austria! Popularity - 204 views, 5.0 views per day, 41 days on eBay. Super high amount of views. 0 sold, 1 available. 204 views, 5.0 views per day, 41 days on eBay. Super high amount of views. 0 sold, 1 available. Seller - 4,559+ items sold. 0% negative feedback. Great seller with very good positive feedback and over 50 ratings. 4,559+ items sold. 0% negative feedback. Great seller with very good positive feedback and over 50 ratings.